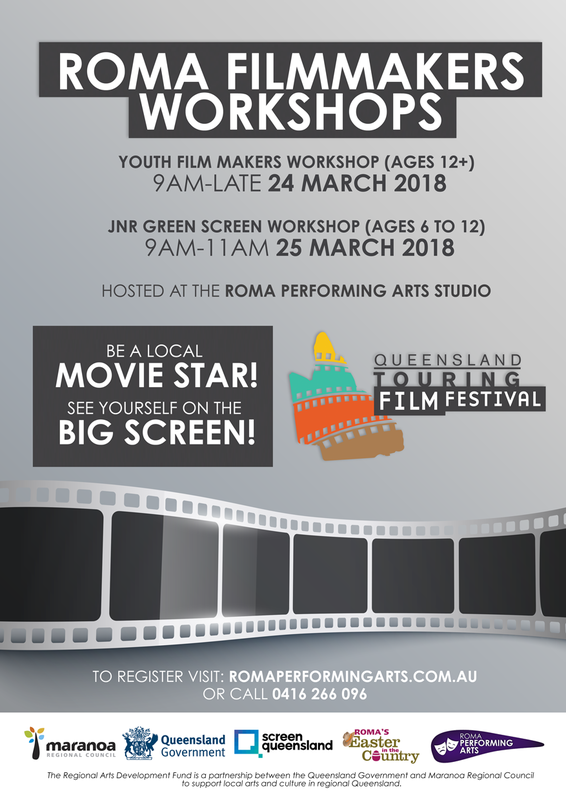 Roma Performing Arts is proud to present, in conjunction with Queensland Touring Film Festival and Roma's Easter in the Country, a series of Film Maker Workshops and a Roma Short Film Festival. Do you want to see yourself on the BIG SCREEN? Is your child a movie making superstar? ​​​About: Want to be in front of the camera? More interested in working behind? We have limited space/s for youth over 12 years of age to work with industry professionals in producing a film about our town. Registration necessary, limited spaces available. ​​About: Does your little one like to perform? Register for this workshop and let them explore the magic of green screen technology, just as they use in the making of superhero films. Registration necessary, limited spaces available. 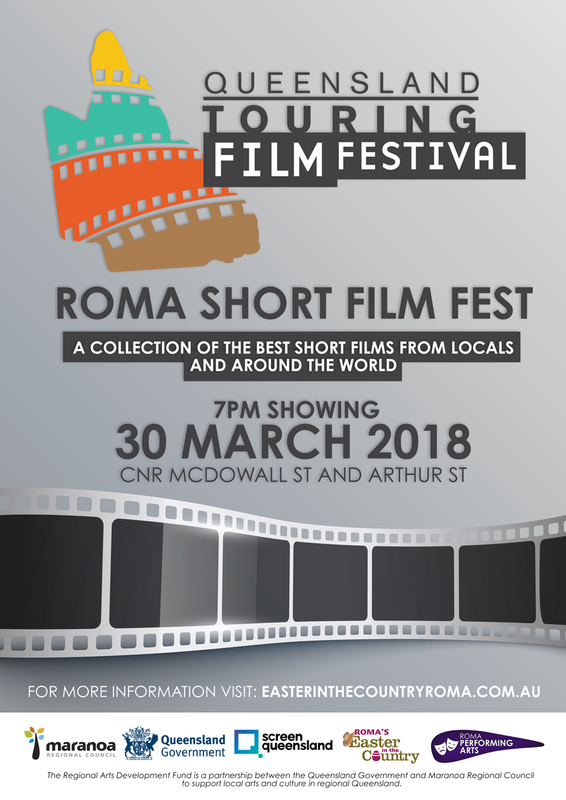 ​About: Bring your families and enjoy Fish and Chips on the main street while watching the best short films made my local youth, during the workshops, and others from around the world.